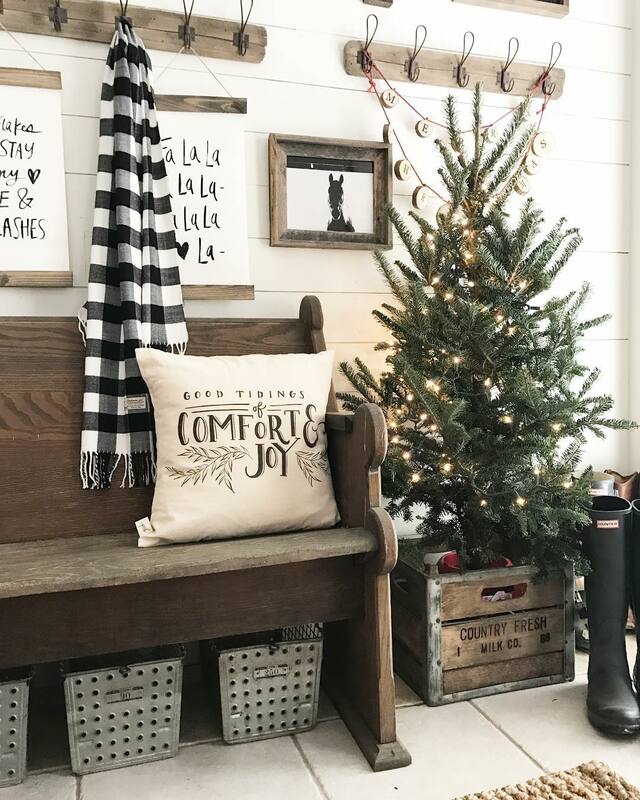 I asked on Instagram stories and you guys responded so here it is…my Affordable Holiday Decorating post! The holidays can be expensive, between gifts, parties, dinners, family outings, decorating…things can add up fast, especially if you’re trying to stick to a budget. 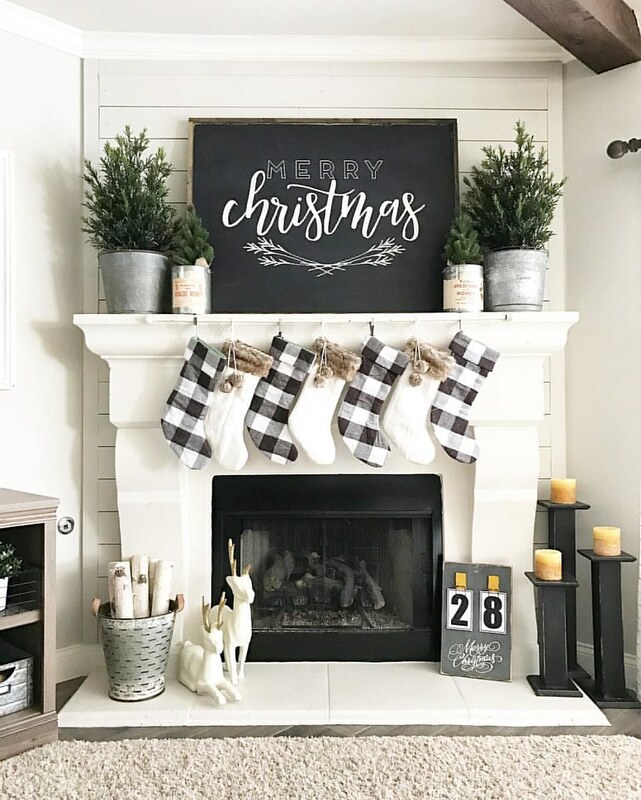 I’ve become quite the queen of doing most of my holiday gift shopping during Black Friday and Cyber Monday to keep costs down, but when it comes to decor I’m a bit of an impulse buyer and a budget doesn’t even cross my mind. This year instead of trying to budget myself when it comes to buying new holiday decorations, I’ve decided to stick to more affordable decorating techniques! 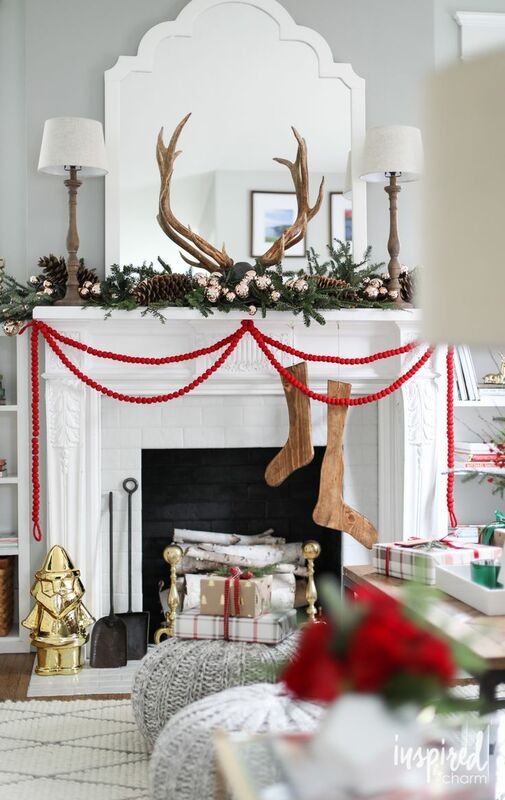 Here are 4 ways to decorate for Christmas on a budget that won’t make you sacrifice style! 1. 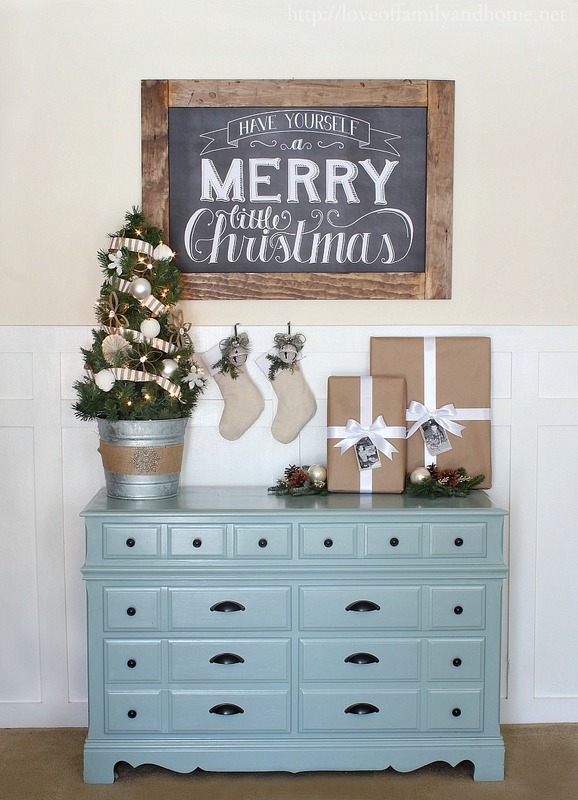 Have a festive sign become the focal point of your decorations. 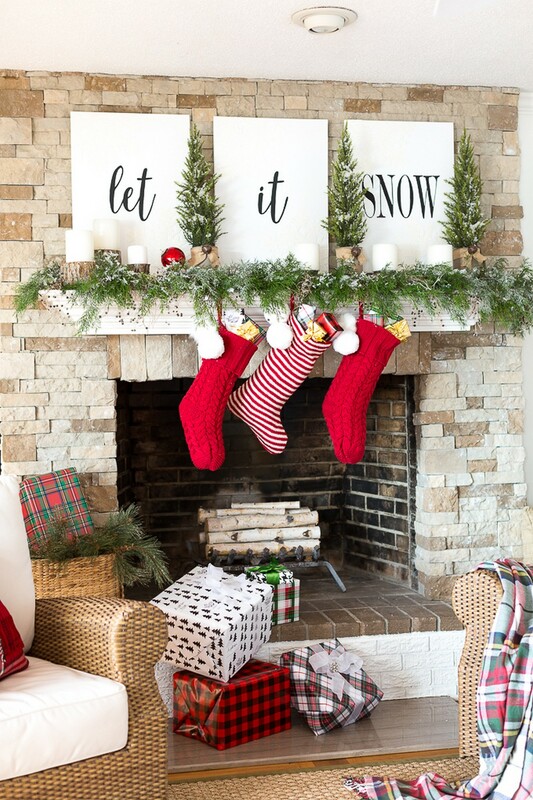 These signs are extremely inexpensive, but can instantly make a home feel festive! You can make a chalkboard sign of your own very easily with chalkboard paint and change what is written on it depending on the season. Not into a chalkboard sign? Why not get something printed at Kinkos or Staples. Print a fun saying on one large piece of foam board, or split it into three like below. You can dress up your sign with a DIY wooden frame or garland or you can keep it simple. No matter what you choose I guarantee you’ll have your guests talking. 2. Use presents as decorations!! This is something I learned from my mom, she always wrapped gifts the second she bought them and put them under the tree because they acted as part of her decor. I mean it makes complete sense, and since you’re going to wrap your presents anyone, why not enjoy the beautiful wrapping for a few weeks as opposed to only a day or two before it gets ripped off! Ever since I started doing this I’ve become way more aware of how I wrap presents and everyone that comes over during the holidays always comments on how great my tree looks with presents underneath! You also don’t only have to put presents under your tree, spread them around your house…anywhere that needs an extra festive touch! The ultimate way to decorate for Christmas on a budget is get creative with multi use items and beautiful wrapped gifts is always my first choice! 3. 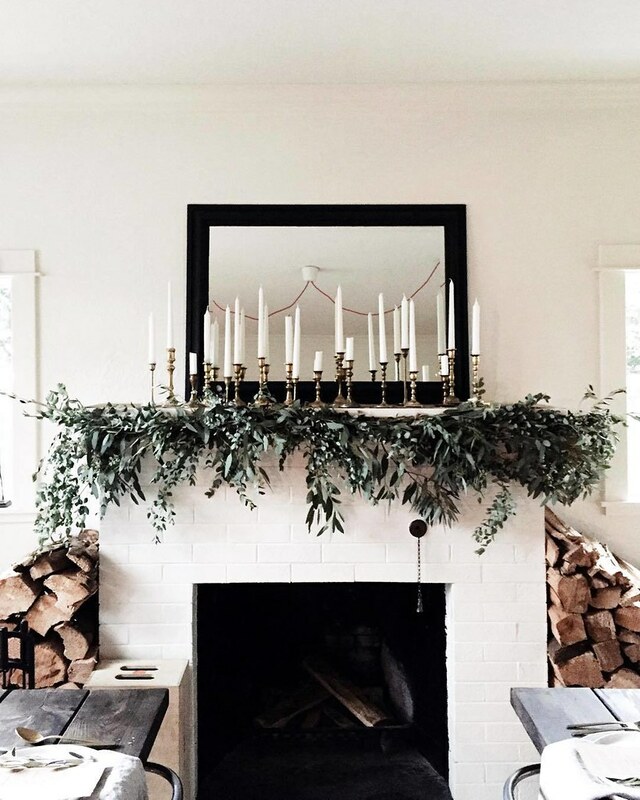 Decorate your surfaces with garland, roping and candles – mantles, coffee tables, staircase railings, even your headboard! 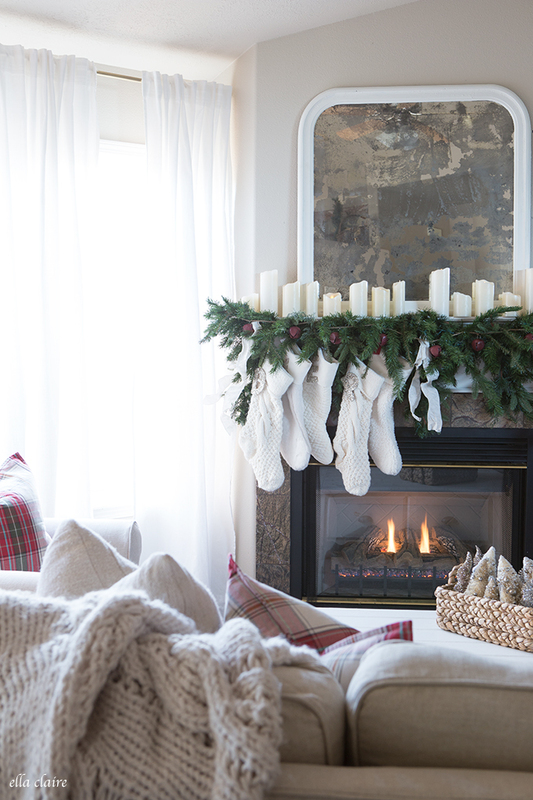 You can go with fresh garland or faux…real candles or battery operated. 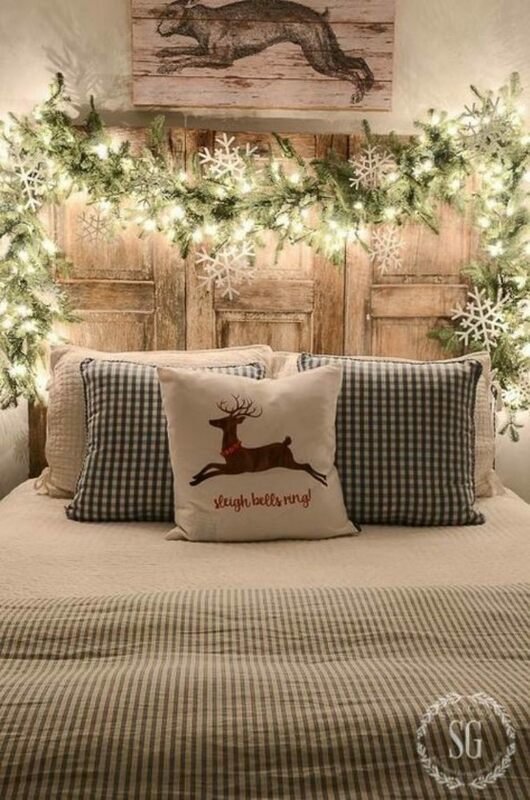 Expand on this idea by adding more Holiday touches like pine cones, string lights, ribbon, burlap and more! 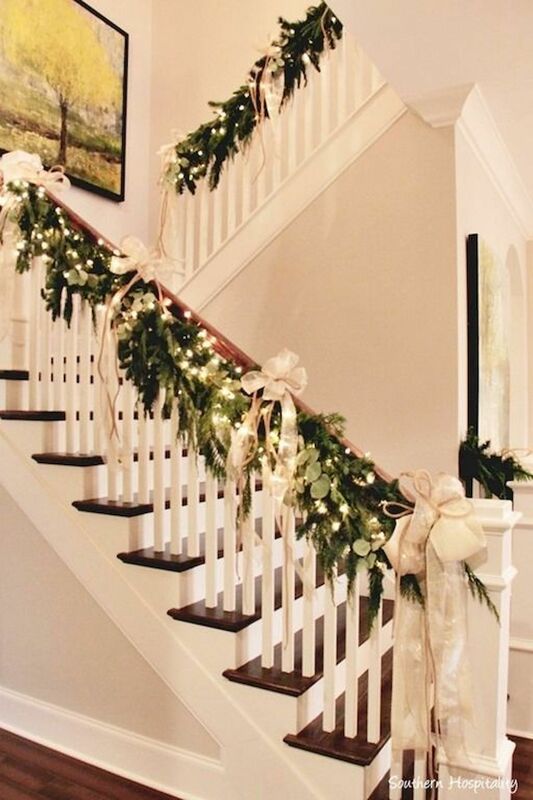 No matter which route you go this is an easy, inexpensive way to make your home more festive. 4. 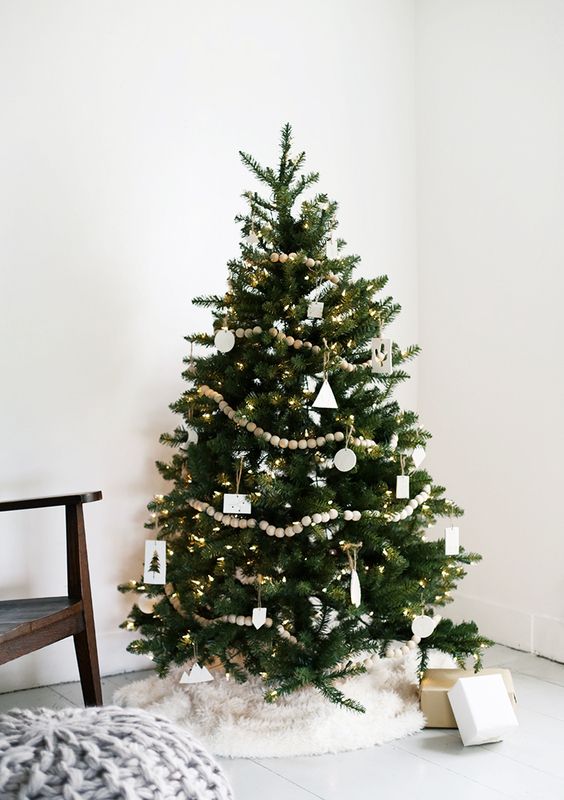 Go for a minimalist Christmas tree! 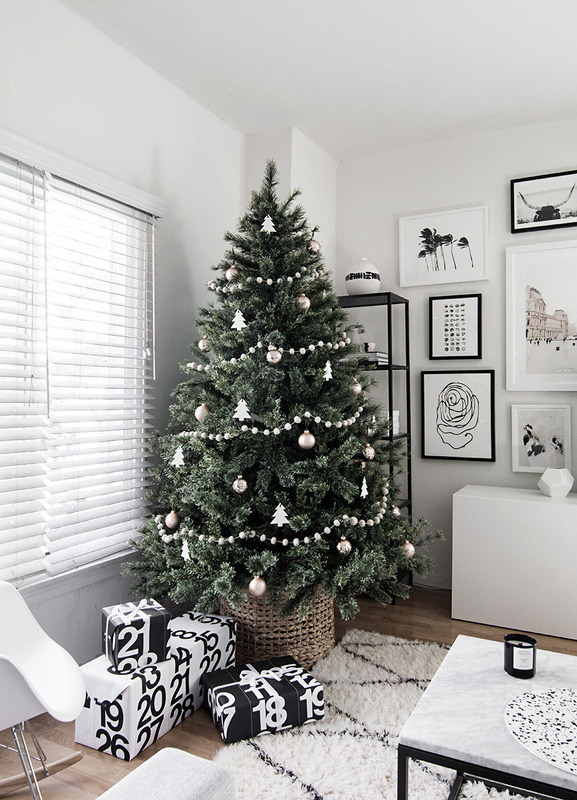 You don’t need to go out and spend a ton of money on decorations for your tree, especially if it’s your first year in your home or your first year with a large Christmas tree! Ornaments will come with time, why not aim for a minimalist tree this year. 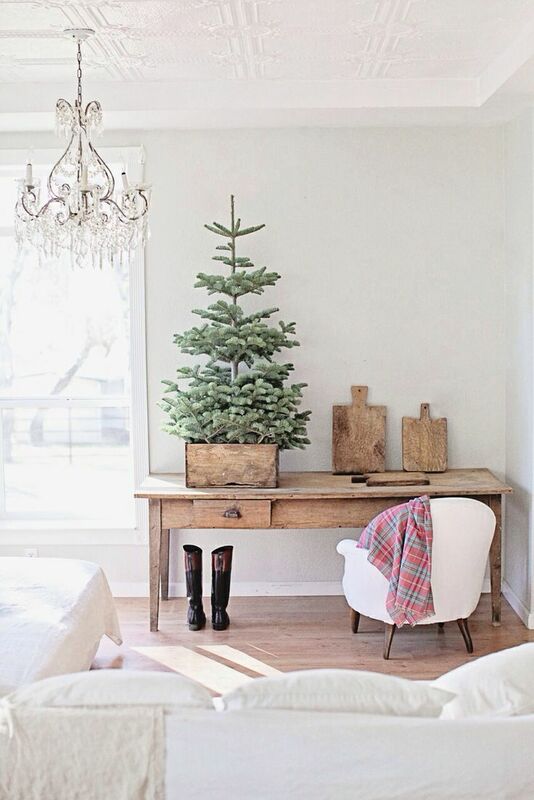 You can either leave it completely bare like the mini tree above, or your can stick to just lights, just a few ornaments or a little bit of both. I’m NOT a minimalist when it comes to my decorating style AT ALL, but I’m completely in love with how all of these trees look! Target: Save up to 30% off trees, wreathes & garland!